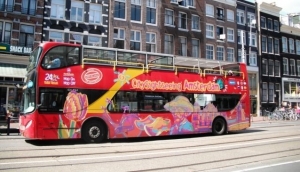 Like any major city, Amsterdam has its own bus tour services. A popular way to see a large chunk of the city quickly, bus tours are ideal for travellers to enjoy the city to the maximum while getting a great view as you pass the best sights. One of the best things to do is to grab a hop on-hop off bus, stopping at the major attractions with the freedom to get off and travel at your leisure and provides a more traditional experience. Those seeking something different can take the Floating Dutchman, an amphibious bus designed especially for the canals of Amsterdam. Finally if you want to get out an explore the Dutch landscape why not take a countryside bus tour.